THE Brumadinho dam disaster, Brazil’s second in four years, would harm risk appetite in the world’s mining sector and further tarnish its image, said Reuters. Brazilian rescue workers have been searching for roughly 300 people missing after a tailings dam burst at a Vale iron ore mine in the town of Brumadinho in Minas Gerais state. Ten bodies have been recovered. Brazil is still reeling from the 2015 collapse of a larger dam, owned by the Samarco Mineracao SA joint venture between Vale and BHP that killed 19 people in the South American nation’s worst environmental disaster, said Reuters. One investor at a major bank, speaking on condition of anonymity, told Reuters he could no longer consider investing in Vale or BHP because of the ongoing risk of Samarco liability. “It goes without saying that we still have lessons to learn from this disaster, and we will need to do everything we can to incorporate those lessons across the industry,” said International Council on Mining and Metals (ICMM) CEO, Tom Butler. Vale is a member of the ICMM. Following the Samarco dam burst, the ICMM issued updated guidelines its members must should follow to try to safeguard tailings dams used to store waste left over from mining operations. AFTER THE TRAGEDY OF SAMARCO , WHAT MONITORING MEASURES WERE IMPLEMENTED TO IMPROVE THE SAFETY OF THESE DAMS? 3. Fundao TSF failed due to liquefaction caused by high threatic surface on what was supposed to have been the sand compartment of the dam. Readers might wonder : Hey GS, but this is VALE …how could they not have foreseen such screw-up ? It was a $5Bn fine ..plus remedial works and compensations! Readers , The blend of samarco have changed dramatically over the years to enable more production tonnage to meet the insatiable demand for premium pellets. With this FeOre appetite, the concentrators were modified to enable more redundancy and high utilisations. Instead of separate tailings ( slime + sand) disposals , they commingled them thus resulting in 2x disposal handling unit processes instead of 1x for each ( said and slime). IT DID NOT END WELL! De Beers used to have an industry leading change management procedure to control such process/design/operating changes. Even changing the type or make of cyclones for DMS plants had to be approved at the highest technical levels after a thorough risk management process , which comprised of multi-discipline team. Sure it slowed innovation BUT De Deers Ops were never caught-up or tripped-up in silly gambits that were sure to be expensive when they went awry. ITS CALLED : Change Control Management ! It is the failure by VALE , as an operator of Samarco , to have a Change Control Management System that led to the Fundao TSF failure! Translated to non-technical readers : When you modify a process or method …..Be cognisant of the unintended consequences that the original design sought to mitigate! 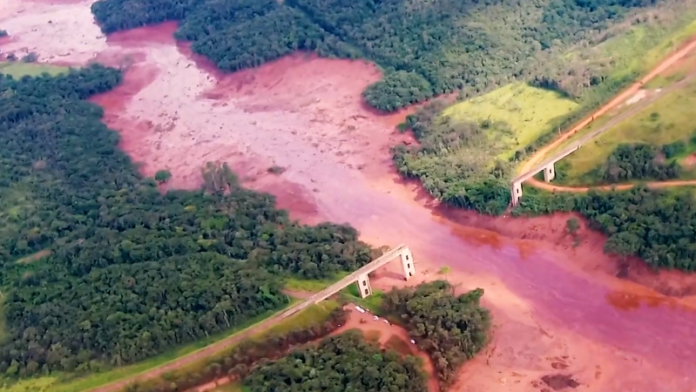 We will surely learn from this Brumadinho dam disaster!